Sacred Heart Roman Catholic Primary School is a voluntary aided primary school and provides education for around 380 children. 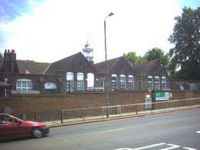 The school is located in the Roehampton area. To find out more about Sacred Heart Roman Catholic Primary School please either contact them directly to request a brochure or make an appointment to visit, or look at their website.
. Please contact the school for more information.